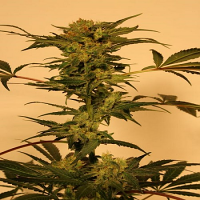 Sweet Cheese F1 Fast Version Feminized Marijuana Seeds by Sweet Seeds: Feminized and non-autoflowering version of our SWS19 (Sweet Cheese®) now featuring ultra-fast flowering. This strain is an F1 hybrid resulting from the cross between a selected Sweet Cheese® elite clone and a selected 3rd generation of SWS33 (Sweet Cheese Auto®). This version of Sweet Cheese® preserves the traditional and desired old spicy cheese aroma from the Cheese genetics. 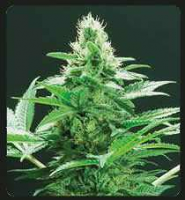 It produces long thick buds, which are quite dense and totally covered with very aromatic and crystalline trichomes. The F1 cross brings more homogeneity and hybrid vigor to the offspring. The cross with the autoflowering genetics shortens the flowering and maturity time of this strain in several weeks.